Amazing Daughter knows me so well. For my birthday she bought me a book she found as she was cruising a book store. It has been sitting on my night stand for a couple of weeks. As you know, I love Jane Austen. This is a book about the servants at well….Longbourn. Will it be any good? I have no idea. However, I will find out! Yesterday was the first day back at work. When the alarm went off, it took me a few moments to figure out what that sound was. I made it through the day with a huge smile on my face. 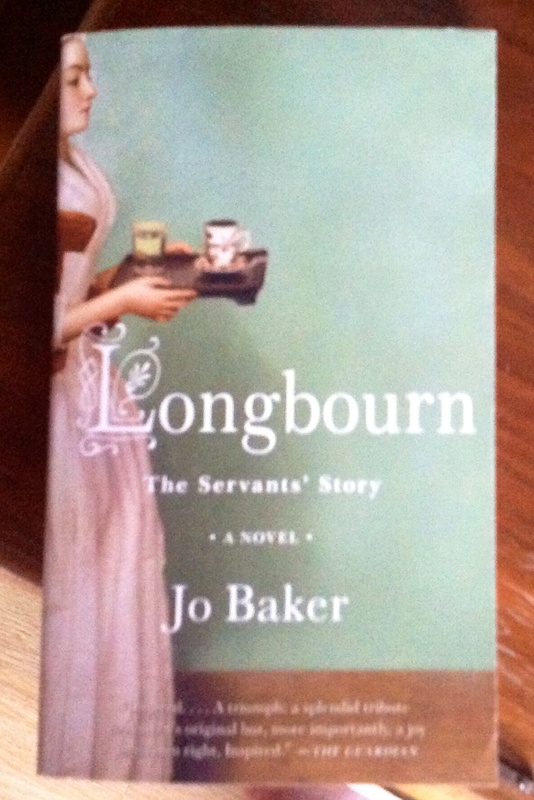 My reward…Longbourn! I will let you know how it is! One of my favorite scenes in Pride and Prejudice is when Lizzy is confronted by Lady de Bourg. To have the presence of mind and ability to respond to a very difficult situation is pretty amazing. If that was me, I would not have been like that. I am getting better at dealing with uncomfortable situations. Telling like it is in a respectful manner is a true gift! Yes, I finished my favorite novel of all time yesterday. I still find it strange that it is my favorite novel. I am not a romantic per se. It stirs in me something more. It is the character development. They all seem to be your best friends. Okay I cannot stand Lydia. When you read a book you just want to get a way. 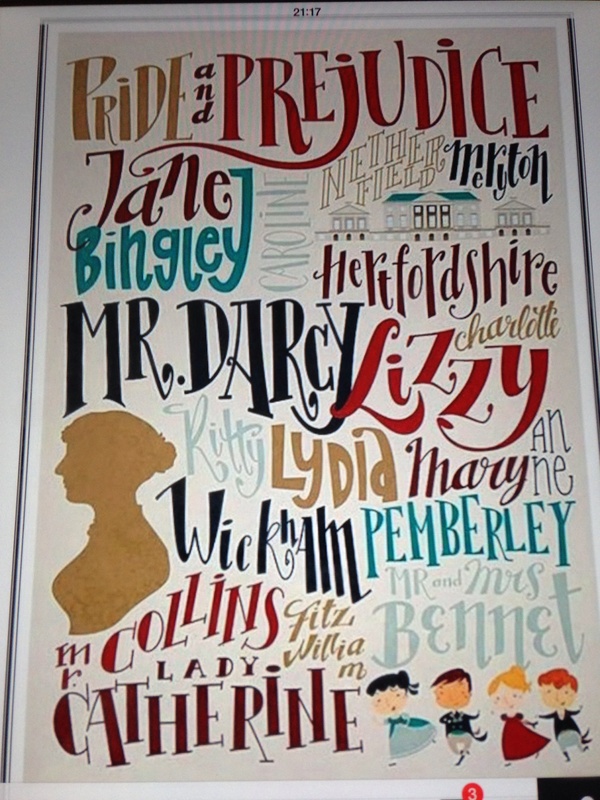 Every time I read the story of Elizabeth Bennet, I time travel back to the days of Jane Austen. Where taking a walk is the high point of the day. My pleasure that I look forward to each summer is over for another year. Aw… It was fabulous. Now, I get to start on my summer to do list. Yea! I decided to read just my two favorite novels- Persuasion and Pride and Prejudice. I finished Persuasion already. Each time I take away something new. This year it was the value and the importance of personal growth. Owning up to your decisions in order to moving forward. Playing Monday-morning quarterback has some benefits, but it cannot rule your life. Both Anne and Wentworth grew during their time apart. Without that growth, they would not have been ready to see what was before them when they meet again. Thoughts that we all need to take to heart. I know I will! I am ready to complete my favorite novel today! Isn’t Summer great? Each year, as the end of a school year comes to a close, I look forward to unwinding. There is only one way I know how to do this…. Jane always knows how to start the summer off right. She is the one that I look forward to each year. I am a little sadden that I have to wait a little longer to join her this year, but it is okay. Since I started my new job in January and since I have to work a few weeks longer than teachers now, Jane will have to wait. However, the Dashwood sisters, Catherine, Fanny, Emma, the wonderful Lizzy , and the dreamy Mr. Darcy are waiting for me. That precious week of me being lazy and spending it reading all the novels of my favorite author is getting closer and closer. I like have traditions. I like having Jane. I do not know why I always do this. Habit maybe. But I do. I am on break until August! Happy dance, please! Monday morning when Hubby got up to get ready for work, I rolled over and smiled. Hubby was not smiling. What a great feeling. The alarm was not O Dark Thirty. It was a reasonable hour of the morning. Smile. When he left, I went for my run. I was happy. I would have been dancing… if I could dance. I came back and had breakfast on my porch. I listened to the birds sing. Smile. This was the day I was suppose to indulge myself in Jane Austen. I look forward to doing so every year. However, yesterday I played. Amazing Daughter, who was off, and I went into town to look around and to have lunch out an outdoor cafe. Smile. The weather was warm. It was beautiful. The sun was out. Gentle breeze and all that. Smile. What an amazing first day of break. Today after my run and shower it is all Jane. Hope no one calls. I will be the one on the back porch with a HUGE glass of water and Jane. See you tomorrow…. if Jane does not take too much time! This is my last week of work before my long summer break. Trust me, I’m ready. I LOVE what I do. I LOVE where I work. However, recharging and relaxing are needed. For some strange reason, I start to get reflective around this time of year. I think that is a good thing. I sit back and realize that my cup is truly overflowing. I am blessed beyond belief. But I also know that I can always become better. Isn’t that what life is about? Striving to be beyond good. As this week slowly (WHY???) unwinds, I will begin my mental transition to my summer routine. This past weekend I made my traditional Summer Goal list. I’m ready to start checking things off! The customary start of summer for me will begin on Monday with Jane Austen in hand and a cup of tea in the other. I will dive into the world of Lizzy, Fannie, Emma, and Anne. It is the best way for me to start my break!